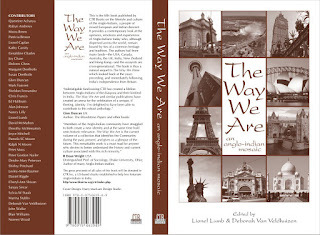 The Way We Are, the latest release from CTR Press, is out! 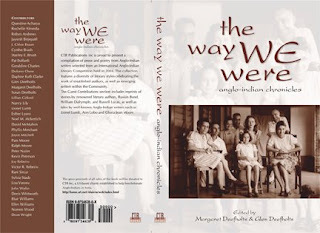 It's an anthology of writings by and about Anglo-Indians, and concerns the directions their lives took after the post-Independence diaspora. 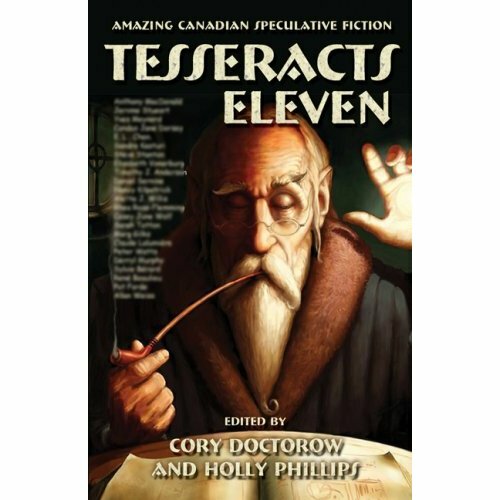 It features a short non-fiction piece I wrote called "Inheriting Remembrance". ...Everyone else would already have eaten, and so my grandmother and I would sit, and she would take out a few of her memories so that I could have a peek at them. I cherished those afternoons, for they provided me with a privileged glimpse into a present that is now long gone--a present that I would never have access to otherwise. She talked of how she used to discuss the day’s menu with the cook in the mornings. Then she would see to her correspondence at her desk. In the afternoons, she would call on friends and have tea. Hearing those stories, I thought of the English classics, like Pride and Prejudice, and the lifestyles they depicted--except that every now and then, I’d be reminded that this was, most assuredly, not England at all. “Baby scorpions?” I was horrified. Snakes, scorpions, crocodiles: not quite the usual components of an English comedy of manners. It's rare that the metaphorical crossroads in life loom so clearly and in such close conjunction as they seem to be right now. We came into London on Thursday night, all set for our first day of tests, ultrasounds and injections, all of which would determine whether or not I will be able to conceive and bear a biological child. But, I will be getting up at 6 a.m., because that is also the morning that my registration for classes at U of T opens. So, from six to six-thirty, I will be trying to sign up for classes for the coming nine months, after which, I'll out for my first day of tests, which will determine whether I will have a child in the coming nine months. I've been at crossroads before, and have had to make choices, but there is a peculiar resonance to this close a juxtaposition. Two roads before me, not necessarily mutually exclusive, but very likely to be (because of different other physical complications, it's very possible that if I get pregnant, I'll be ordered to bed rest pretty early on and will have to give up on the idea of classes). This particular morning, I'll be taking the steps I need to advance along two widely divergent paths. It will be several weeks of following this particular road, before the fork comes--but for now, it's a matter of, on the one hand, trying to work out what classes I'll be able to register for, which ones I'll be wait listed on, and how I can get off waiting lists and into the classes I need to qualify for a Master's, and on the other, doing the injections and blood tests and trips to London. In a few weeks, this uncertainty will be resolved, and I'll be advancing along one or the other route. But for now, there's this odd sense of irresolution and doubled lives, like two possible transparency overlays, where there's a map, and if you put one transparency over it, it shows one route, but then if you put a different transparency over it, a totally different route--with maybe just a few roads in common--gets highlighted. I'm trying to be positive--there are exciting prospects along either path. After all, it's up to me to try to get the most out of my life, regardless of the path it takes. I might not have much control over how many eggs my ovaries are going to produce, nor whether any of them will fertilize as a result of some candle-lit dinners and one-night stands in the petrie dish/test tube. Then, there's the question of whether one of those that does fertilize, once back inside, will implant and start growing into a baby. None of that is much in my control. The one thing that I can control is how I look at the situation. This is the end of the line for us, from the fertility perspective. My body has been damaged and sliced up by the surgeries. I'm working with essentially half an ovary, in total (my other ovary, which has also been reduced to half its size, is apparently inaccessible). I'll be injecting the maximum dosage of drugs, in the hopes of getting *something* cooking in there. But it simply may not happen. Given that, I have to be very careful about the kind of hope that I'll allow myself to experience. Throwing all my eggs (so to speak) into one basket (ovary?) --the biological child route--is dangerous, because it's entirely possible this won't work. And if it doesn't, and I'm totally invested in it emotionally, it will be devastating. I have to focus instead on the ultimate outcome--a child, someday, somehow. In Vitro is one possibility--a route that for now is still worth exploring. But there are other ways, and I'm open to them. Still, fingers crossed, for now. The young resident administering the ultrasounds (who looks startlingly like Jonathan Crombie, who played Gilbert Blythe in the Anne of Green Gables t.v. series starring Megan Follows) says that we've got a few "potentials" sitting about in my left ovary (the one they can see and will be working with). He's going to recommend maximum dosage to the doctor and discuss whether that's worth doing, given how little they've got to work with--and the fact that I'm a poor responder to boot. You go, Gilbert! Next time I see him, I'll have to ask him how Anne's teaching career is progressing. I expect he'd really love that--if he actually even knew what I was talking about. In the mean time, ALL the courses, in the faculties that interest me, are overenrolled. They've all got waiting lists. 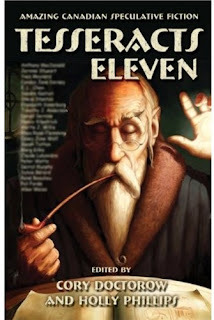 I'm #111 on one of those waiting lists--and can only sign up for a maximum of two. So--no classes, two waiting list rankings. So far, it looks like IVF is in the lead! Wahoo! It also looks like my injections, at max dosage, will set us back about $360 per day (uninsured). Well, as they say, go big or go home. A couple of years ago, I learned, as a result of some pretty conclusive exploratory surgery, that I am infertile. More than that, without the recent innovations in fertility treatments, I would have been deemed sterile. Salt-sown-in-the-ground barren. It's only thanks to the In-Vitro Fertilization technologies--resulting in the famed and so-called "test-tube babies"--that there's even the remotest chance I might be able to have biological children. I actually wrestled somewhat with the idea of "coming out" on this topic. It's one that's still cloaked somewhat in mystery and shame, though I don't really understand why. As friends whom I see somewhat regularly know, I'm actually very open about it and if asked, I'm happy to answer any questions people have. My hesitation in posting about our adventures actually came from the knowledge that others aren't as comfortable with the topic as am I, and so, some people might feel squeamish or like I'm just giving way too much information--though I have no plans to go all gory and graphic about it. If you happen to feel that way, feel free to read no further. I'll title all future posts on the topic "La Vida in Vitro, Part #", which should serve as an easy marker for steering clear of them--and I respect that choice. 1. There are family members and friends who are curious about our progress and our adventures as we try to grow our family, and this is a good way to keep people who want to know up to date. 2. There may be people out there who are curious about the details, but shy to ask. Don't be. But, this will provide some background on the day-to-days of it. 3. As I mentioned above, this is a topic that still seems shrouded in mystery and, worse, in shame. The temptation is strong, when the diagnosis come through, to blame oneself or to hate oneself, though most people who aren't infertile or sterile might be puzzled as to why. Others might well be able to understand such reactions, but are also quick to point out that such feelings are irrational and make little sense (which reminders I actually do appreciate, since it keeps things in perspective on the darker days). It's true. They are irrational--they don't make sense. It's an emotional thing and has little to do with logic. And so, such difficulties are often kept as dark secrets. There are tons of anonymous blogs about it out there. Fair enough, I respect that. Not everyone is able or willing to go public with their difficulties and heartbreak. Sometimes, the honesty is so dark and raw and wounded that I can understand why they don't want their names associated with it. But, I also think that the best chance that people have of coming to terms with that shame and self-loathing is if those who have such experiences and feel ready to share them, come out and talk about them openly, without the mask of anonymity. It's hard enough, coming to terms with the thought that you may never be able to bear biological children, without also feeling ashamed, like you have some horrible secret, and second-guessing whether there was anything you could have done differently, that might have prevented such an outcome. This is the most compelling reason for me--the hope of adding another individual voice to those of other women who have chosen to be open about their infertility, in the hopes of reducing the stigma associated with it. That's the reason that I decided to go for it. After all, I can always give updates to friends and family in person or in private, and those who are curious but shy could probably do a quick web search and learn more than they ever wanted to about it all. For this first post, I figured I'd just fill in a bit of the background. I learned that I was infertile, conclusively and without any chance of conceiving naturally, at the beginning of 2005. The biology of it all is irreversible and irremediable. Short of a deity descending to lay healing hands upon my uterus, it's just not going to happen. I went through a couple of IVF cycles at the time. The first one didn't complete, because I'm a "poor responder" (i.e. I didn't produce enough eggs, despite my daily hormone injections). The second one, with far higher dosage, resulted in a pregnancy that featured a week-long hospital stay, and ended in miscarriage, a few months in. A few weeks after that, I had a cancer scare and went under the knife. The years since 2005, I've been under the knife ~3 or so additional times. It seems as if each time that my body was deemed ready to go through another IVF cycle, the doctors would have a last look and discover some further impediment. So then, the wait for a surgery date would begin again and the timer would be reset for my next treatment. Now, after a long wait, I'm back to the IVF days--the days of injections, of blood tests and of condom-covered ultrasound wands. Of dizzy spells, nausea and bloating. But these are minor, as is the fact that I'm administering my own injections. I'm not afraid of any needles--nor ultrasound wands, for that matter! Bring it, I say--and Lay on, Macduff! So yes, the joy of it is that it's a go! A go! After all these years, all this waiting, this fact alone feels miraculous. Now... to find out if my sliced up, "poor responder" ovaries (each surgery pared away at one or the other of them--half here, a third there, and so on) are up for the challenge! I have many friends who, over the years, have told me innumerable stories about how "a friend of a friend was struggling, just like you. But then, she and her husband gave up and started taking steps to adopt a child/had just adopted a baby/had given up on having children. And then, guess what? She got pregnant!" I know this is true. I know people who have lived this very phenomenon themselves. Actual friends, who share this with me as their experience. It's a beautiful thing--and what a wonderful event, to be blessed with such a bounty of love and children. This is their experience and their reality. Everyone, without exception, who has told me this story has done so with the best of intentions, no doubt because they don't realise (and haven't asked, or given me the chance to explain) that in some cases, infertility can be conclusive and irreversible. They're doing it to cheer me up, to give me hope and help me feel better. At first, when this used to happen, I'd smile and thank them. Sometimes I'd try to explain that for me, this is a biological impossibility, while touching on the whole deities and healing hands bit. "Oh yes, well, I have some ahem, medical stuff coming up"
"so, when are you and Tom going to start working on a family?" will result in some mention of my infertility. And then, often as not, The Story will, once again, rear its grim and gossamer head, and I'll smile wanly and mumble something like, "well, that's lucky. Good for them." See, it's not that I call it an Urban Myth because it's not true. I call it an Urban Myth because it's Out There, and because for many people who are infertile, depending on the nature of our condition, it could never, ever, apply to us. And so, for us, it truly is a myth--one that we hear depressingly often, and which serves as a reminder of the kind of pleasant surprise we're never going to experience for ourselves.